If you have never invested online and you are a beginner things might look a bit intimidating at first. There are lots of companies out there and in addition to find a very good broker and a very trading platform you also need to figure out a sound strategy. On the other hand, despite all the risks you have the fantastic opportunity of being in charge of your own destiny and if things do work out well, you can have great satisfactions. Investing for beginners starts with understanding that every price movement is being dictated by supply and demand. After sometime you will be able to see if supply and demand are out of balance which will indicate that the price is about to move. So if there are more buyers than sellers the price will go up while if there are more sellers than buyers than the price will go down. This is the very simple base concept that do applies to whatever financial instrument: stocks, bonds, forex, options, commodities and so on. Generally people think at the stock market when they talking about investing. Stocks or equities however are a bit more complicated than other asset classes because the price is not only affected by the buyers and the sellers but it is affected by the ‘fundamentals’ of the underlying company’s performance. Forex trading which is the price of currencies pairs like for example the US Dollar and the Euro and future index trading which follow the price of the S&P 500 or other market index are much simpler to understand and follow as they do purely track price action without external factors like for example company news (‘noise). 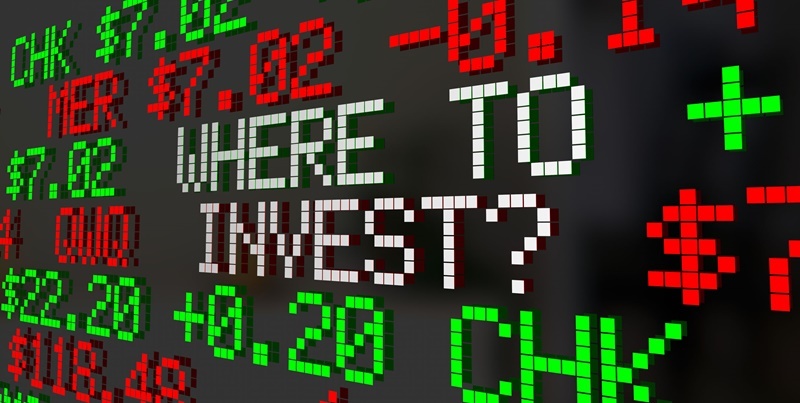 Normally beginners start to invest online in mutual funds but is this the best way to go? Or are you just doing it because an ‘expert’ is doing it in your behalf? The good news about the digital world is that we are able to do things ourselves directly and cut most of the middle-men. By having someone else investing on your behalf you have to pay management fees and this will greatly reduce your potential profits. This is why investing online on forex and other financial assets it is much cheaper than traditional investments. Stocks, futures, Forex and other liquid investments have the advantage that you can learn yourself and make informed decision rather than depending and ‘paying’ someone else. After all you need to remember that you are dealing with your money and despite how good an advisor could be, nobody cares about your money more than yourself. The first thing you need to do to start investing as a beginner is to create a trading plan. You would need to establish how much you will want to trade and how much you are prepared to risk. You would also need to establish what is your profit goal and most importantly how much time you will be able to dedicate to the investments on a daily, weekly and monthly basis. To do an example there are some strategies that cannot be implemented if you are limited on time: the idea of ‘day trading’ is not applicable if you can’t spend hours in front of the computer everyday so it is important that you do set some realistic goals and consider your limitations when doing a trading plan. The trading plan will also be affected by the amount of money you are prepared to risk. The suggestion here is that you should only invest capital that you can lose. If you are a younger investor maybe you might want to take on more risks as you will have the time to recover if there are some serious downturn while older people might be more careful with their savings. The suggestion is that even if you are going to make very conservative investments you should try to carve out a smaller amount to invest in riskier assets that could payout well if things go in the right direction. Another thing to consider is taxes: sooner or later you will have to pay those and they do apply to almost all investments. The second rule of investing for beginners is to “lose small, win big”. Normally we do advice to stay on at least a 3:1 reward/risk ration on every potential trade. By doing that even if you lose on more trades than you win eventually you will still come out profitable. As we have mentioned before the fundamental of trading is that price is decided by supply and demand. Reading and making experience in the online trading platform will make you better equipped overtime to see activity on a price chart and start to predict with a good degree of accuracy how the market might move. It is also important to test stop-losses and take profits so that they are inline with your strategy. Getting the right ‘stop losses’ in place is a key part of the ‘losing small’ idea and are a fundamental strategy in successful investing for beginners. Surely there is a lot to learn to become a very good online investor but with the web you are in a much better position than traders and investors only few years ago. You have the freedom that you don’t have to depend on anyone as once you have opened a trading account you can start trying out your strategies without risking any capital at all (demo) or with some strong stop losses that limit how much you can lose. It is a very good idea to do some practice before you actually start to invest your own money so once you have picked the online broker that best fits your style, start to familiarise with their trading platforms and even follow some assets movements for few hours a day or week. You can than slowly start simulating some assumptions and work out your trading plan and strategy before eventually place the investment in real cash.